Per reports from Ian Rapaport of NFL.com, the Dallas Cowboys considered firing Offensive Coordinator Scott Linehan during the team’s bye week. Instead they fired Offensive Line Coach Paul Alexander and trades for Amari Cooper to attempt to ignite the offense. Despite a win over division rival Philadelphia Eagles, Scott Linehan's job should still be in jeopardy. Nothing that happened on Sunday Night Football should change that. The Dallas Cowboys were facing an Eagles secondary that was already down a starting outside cornerback in Jalen Mills and their starting slot corner Sydney Jones. Ronald Darby, the other Eagles starting outside corner went down with a knee injury in the game and missed the rest of the contest. The Cowboys should have won that game from the outset and the offense should have had some success against a hurting Eagles secondary. We shouldn't be surprised at the success the Cowboys had passing against UDFAs and guys getting their first extended run on defense. Linehan called an okay game for most of the night, finding ways to get his wide receivers open and Dak Prescott had his best game of the season in a hostile environment. He got the ball in Ezekiel Elliott's hands early and often and the offensive line responded with probably their best game of the season. Yet, on the most important drive of the game when the Cowboys were up seven and needed a first down to ice the game, Linehan reminded us all why he needs to be fired. The final series was an illustration of what it means to get "too cute" as an offensive coordinator. Elliott had been gashing the Philadelphia Eagles defensive line up the middle all night, Linehan calls a toss play. Elliott runs left and the Dallas Cowboys have a hard time blocking it up and Elliott is tackled for a loss. A toss play is not a bad play, but on a drive when you can't afford a loss of yardage and you've been effective up the middle, you keep going where you've been winning. 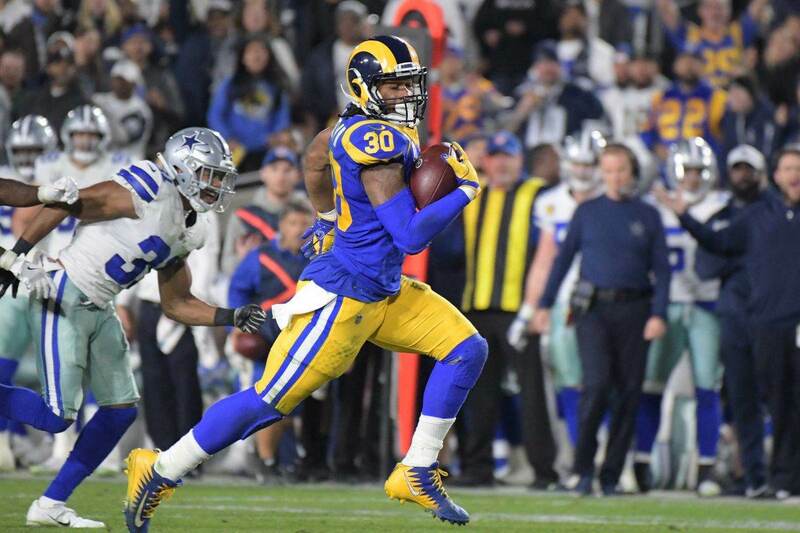 Prior to the toss, Elliott was averaging 8.44 yards per carry and had more than 100 yards after contact. The Dallas interior was playing great, so why not keep the game in their hands? Here's Ezekiel Elliott's run chart provided by NFL.com's Next Gen Stats. As you can see from the chart, Elliott and the offensive line were killing them up the middle or with off tackle. Only once did they try to run wide. It worked, but most of his damage was done inside the hashmarks. On second down in trying to get some cheap yards, he throws a bubble screen to Cole Beasley. Again, not a bad play call in general, but when you need yards, you took the ball out of your best player's hands. On third down, Linehan went with another curious play call when he had Dak Prescott run a quarterback draw. It wasn't good execution by Dak as he ran into his own blocker and the play went for a loss. On the most important drive of the game against a defense that was offering little resistance, Linehan went soft and didn't give his offensive line an opportunity to drive a nail in the coffin of the Eagles defense. In addition to the final drive, the Cowboys struggled for another week in the red zone, only scoring on 60% of their possessions inside the Eagles 20 yard line. 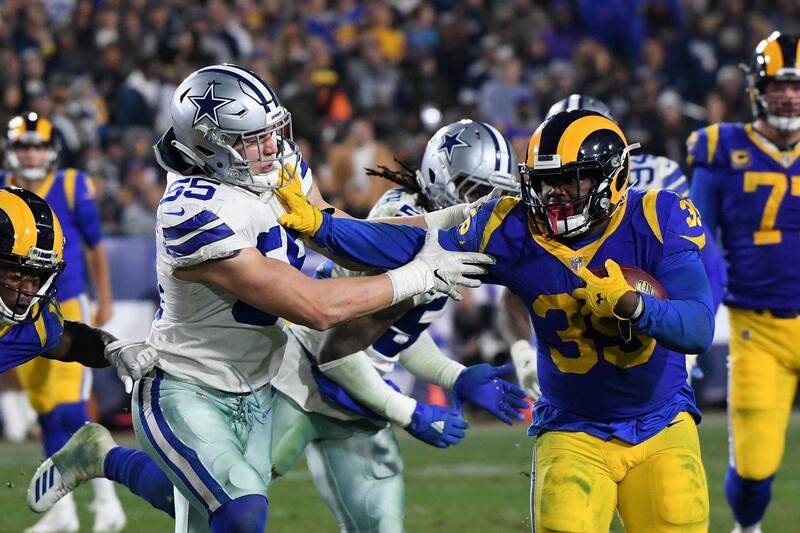 The Dallas Cowboys have been below average in the red zone all season long and Sunday night is just another example of the ineffectiveness of the offense, even against a very banged up defense. Scott Linehan made a lot of changes to the coaching personnel in the offseason removing the offensive line coach, quarterbacks coach, and wide receivers coach. The offense has looked dysfunctional and has been criticized for being too predictable dating back to late last season by players and analysts alike. Wide receivers for two years, including former Cowboys Wide Receiver Dez Bryant, have been critical of the offense. With the offense still struggling heading into the bye week, Linehan survived another offensive assistant when Alexander was let go. At some point Linehan is going to run out of offensive assistants to scape goat and it's going to come down to him. While they were able to score 27 points against the Eagles on Sunday night, don't count me as convinced that the offense is "fixed." One game does not change what the offense has been, because for the most part, it's been average-to-bad in three out of the four years Linehan's been here. Since 2015, when Scott Linehan took over the play calling duties, the Dallas Cowboys offense has ranked 31st, 5th, 14th, and 26th in points and 22nd, 5th, 14th, and 27th in yards. Perhaps we can give him a pass for 2015 when he had to roll out Brandon Weedn, Matt Cassell, and Kellen Moore for much of the season, but if you look at the history of his offense's they've been rather average. Since 2005, Linehan's offenses have ranked in the top 10 in scoring only three times. In seven of the last 13 seasons, Linehan's offenses have finished in the bottom half of the league in scoring and five times in the bottom third of the league in scoring. 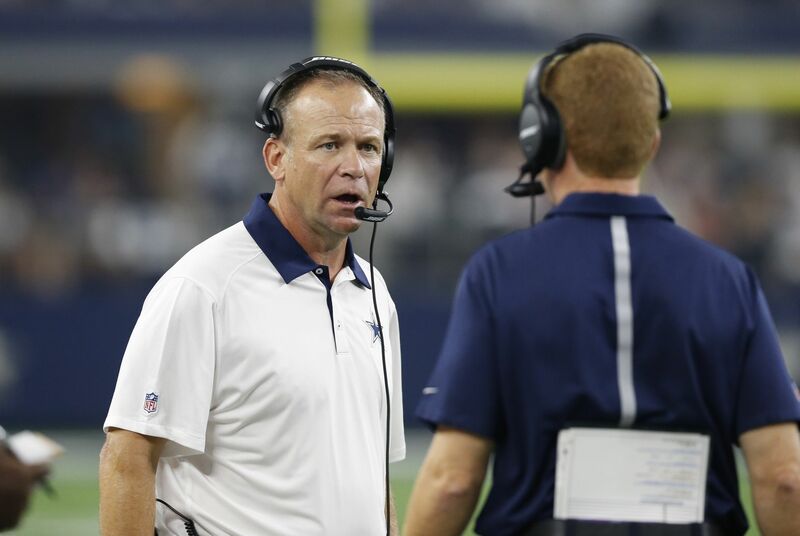 Not since he was the offensive coordinator for the Minnesota Vikings with Dante Culpepper and Randy Moss in 2002-2004, has Scott Linehan had an offense finish in the top 10 in scoring two years in a row. Scott Linehan is probably what his record states he is; an average offensive coordinator. If the Dallas Cowboys have seriously considered moving on from him, then they probably need to go ahead and do so. It's not working out with Scott Linehan and this current group of players. If the Dallas Cowboys really believe that Dak Prescott is the future, then they need to get him with an offensive play caller who can utilize Dak's abilities better than Linehan can. 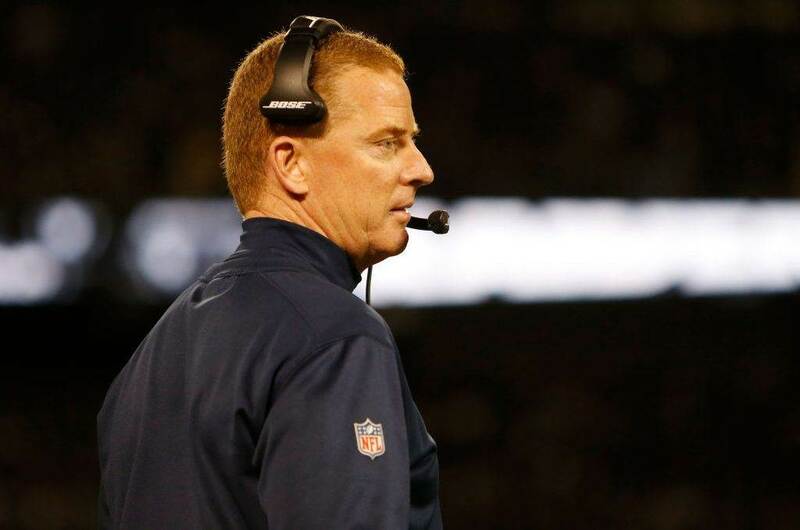 Linehan may have delayed the inevitable for another week, but he'll have to be better for the rest of the season to stay the Cowboys play caller moving forward. Scott Linehan has been on the hot seat for weeks. The Cowboys picked up the victory, but the W hasn't turned the heat down on Linehan's job evaluation. He still has a lot to prove moving forward.